Fraud can be treated as civil or criminal depending upon who is prosecuting although it is a criminal offence. Nowadays it tends to get linked to accusations of money laundering and result in confiscation of asset claims once convicted. Fraud can be staff abusing their position for personal gain. Alternatively it can be cowboy builders or conning us into supplying personal information over the internet or by phone so that our identity can be cloned or our bank account raided. In addition Fraud or Money laundering accusations can arise from non-disclosure of income to HMRC who are becoming increasingly aggressive in their pursuit of individuals and companies avoiding tax. HMRC tend to prefer charging penalties and interest for delayed remittance of the tax and that can double the size of the tax bill. Our head of forensic services has been lead expert in VAT carousel fraud, insurance fraud, fraudulent business valuations, money laundering by international transfers, smuggling to evade duty, benefit theft and theft under a variety of other circumstances. Most have required attendance at Court and they are regularly followed by confiscation of asset claims with requirements to determine the real value of assets. The most recent confiscation case required a company valuation. Bribery is the type of activity where newspapers employees pay off public service employees for information or being paid to look the other way at a border or, like senior personnel in FIFA allegedly being paid to influence activities without the involvement being acknowledged publicly. We appreciate that there is often a large volume of documents to be read, analysed and put into context as well as identifying gaps in disclosure that might be relevant to the case or to the valuation of assets for confiscation. We understand that obtaining funding authority for expert reports can be time consuming for solicitors and we try to present our quotations in a form that is as helpful as possible. We appreciate that the legal aid agency is interested in focusing investigations and minimising cost. Assist with interpretation of technical accounting issues. Contact us today or telephone on 0121 _647 5030 to find out how we can tailor a package to compliment your business or personal activities at a price that is guaranteed to be competitive. 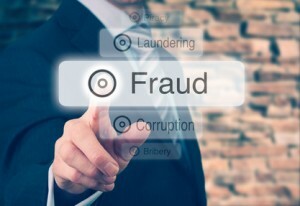 Although based in Birmingham, West Midlands, our Fraud, Bribery & Criminal Forensic Accounting services are used by clients throughout the whole of the UK and beyond. Don’t forget to subscribe to our Newsletter for all the latest updates and please feel free to interact with us via our Social Media sites and Blog.